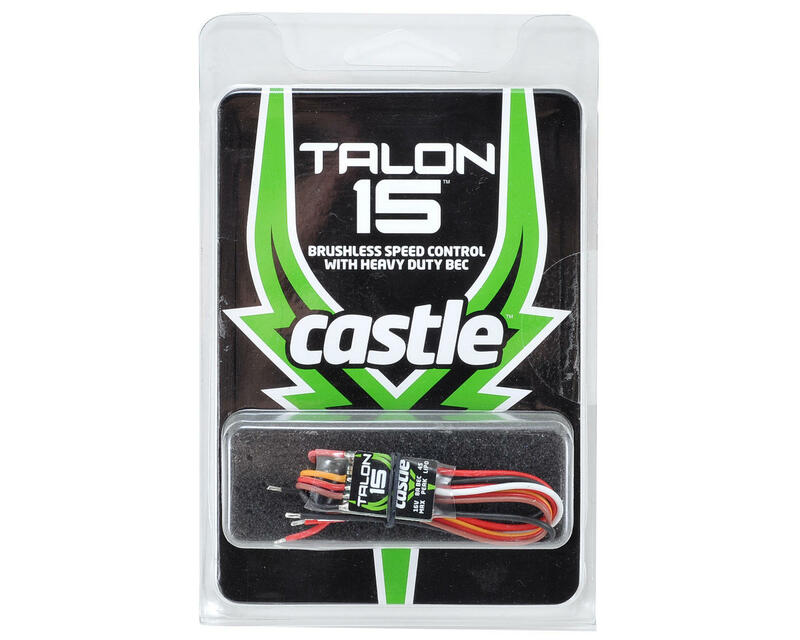 This is the Castle Creations Talon 15 Brushless ESC. Castle packed as much brute power and intelligence into a tiny package as they possibly could and came up with a 15 amp* controller with the ability to sustain an 8 amp BEC! Talon 15 measures just 1.1” long and is under 0.6” wide! At nearly the size of a quarter, this ESC supports an outlandish 8 amp** peak BEC with input voltage of 5.5 VDC. Applications range from foamies to micro and sub-micro helis running up to 4S and pulling 15 amps. 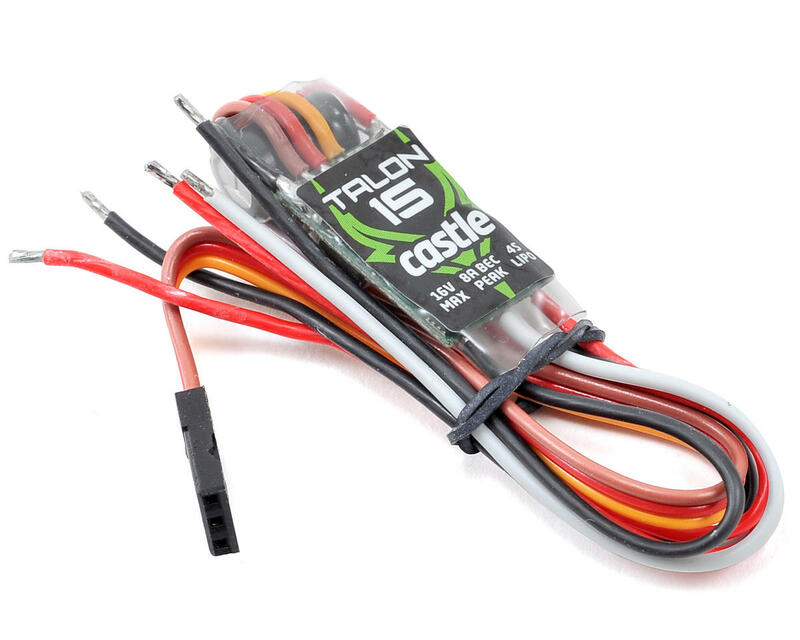 As with any Castle ESC, the Talon 15 offers Castle’s industry-leading functions, not to mention easy programming using the Castle Link USB adapter (coupon for free Castle Link included), or the Castle Field Link Portable Programmer (sold separately). Talon 15 offers power, quality, and flexibility while maintaining an incredibly low retail price. *RC HOBBY APPLICATION RATING: 25 amps for the duration of a single 4,000 mAh battery pack with the ESC in contact with a 5 mph airflow of 25C (77F) or cooler air. Controller temperature must never exceed 100C (212F). Exceeding current or temperature ratings may damage components and may shorten the life of the ESC. Always verify system current draw at full-throttle. Decrease load or increase airflow to decrease the ESC’s operating temperature.